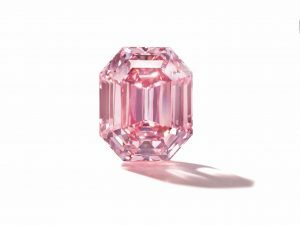 THE Pink Legacy, the largest and finest fancy vivid pink diamond ever offered at auction by Christie’s come up in Geneva on November 13. Weighing just under 19 carats this exceptional rectangular-cut gem will lead Christie’s Magnificent Jewels auction at the Four Seasons Hotel des Bergues in Geneva. From the Oppenheimer Family it is estimated at US $30-50 million. The Pink Legacy has been awarded the highest diamond color grading of VIVID by the Gemological Institute of America. Vivid coloured diamonds are the most strongly saturated gems, displaying the optimum hue of the stone. It is a classic rectangular cut diamond, a cut that is traditionally used for white stones, and weighs an extraordinary 18.96 carats. Most pink diamonds of this colour weigh less than a carat. In the saleroom fancy vivid pink diamonds over ten carats are virtually unheard of. Only four vivid pink diamonds of over ten carats have been offered at auction. An historic level was reached last November when Christie’s Hong Kong sold ‘The Pink Promise’, an oval-shaped fancy vivid pink diamond of just under fifteen carats for US$32,480,500 (U$2,175,519 per carat), which established and remains the world auction record price per carat for any pink diamond. La Légende a 92 carat heart-shaped diamond pendant signed by Boehmer et Bassenge will lead Christie’s sale of Magnificent Jewels on May 17 in Geneva. The Maison de Haute Joaillerie was launched last year and named in honour of Charles Boehmer and Paul Bassenge, Parisian jewellers of the 18th century. Working exclusively with a handful of large, D colour, flawless clarity diamonds of perfect polish and symmetry, combined with years of experience and preparation, the Maison Boehmer et Bassenge operates with an uncompromising attitude to quality. Just a few creations are produced each year. 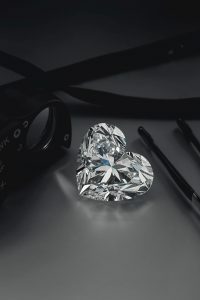 La Légende is the largest D Flawless heart shaped diamond ever offered at auction. It is suspended from a cultured pearl sautoir. The necklace is estimated at US $14-18 million. 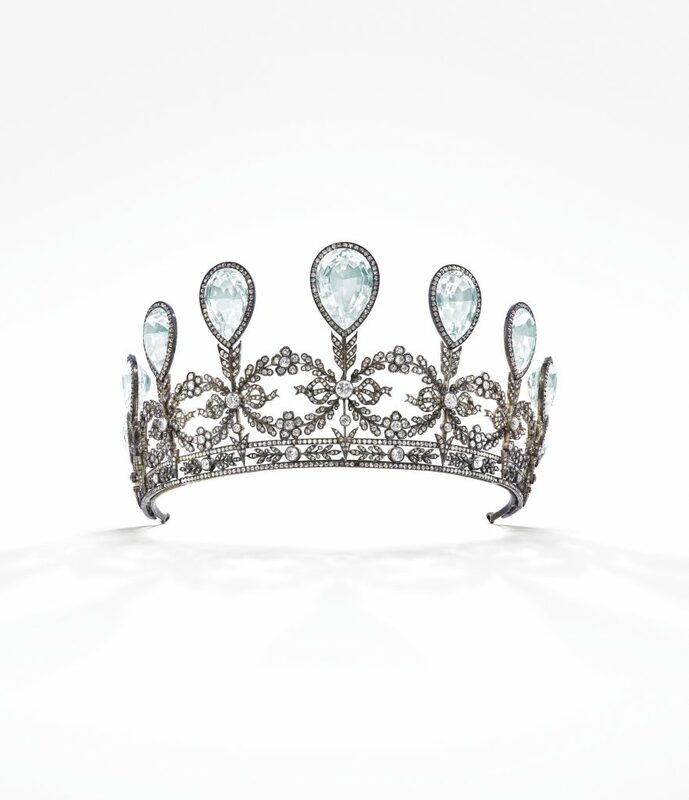 Exceptional diamonds and gemstones will lead this spring season, along with important private properties such as the Cartier and Art Déco collection assembled by Éric Nussbaum, one of Cartier’s most eminent experts. A particular focus has been set on Italian jewellery design from the 1900s to the present day in the dedicated Dolce Vita section.